BREA OLINDA UNIFIED SCHOOL DISTRICT. Elsa H. Jones, Administrative Law Judge, Office of Administrative Hearings, heard these consolidated matters on September 22 and 23, 2009, in Brea, California. Brea Olinda Unified School District (District) was represented by Darin W. Barber, Attorney at Law. Cheri Guerrero, District Director of Special Education was present on both hearing days. Student was represented by Mother and Father (collectively, Parents). Parents were present on both hearing days. District filed its Due Process Hearing Request (District’s Complaint), OAH Case No. 2009030124, with OAH on March 3, 2009. Student filed his Due Process Hearing Request (Student’s Complaint), OAH Case No. 2009050815, with OAH on May 19, 2009. On May 26, 2009, OAH consolidated the District’s Complaint with Student’s Complaint, and continued the hearing on the consolidated cases. All decision deadlines were ordered to be calculated based on Student’s Complaint. Sworn testimony and documentary evidence were received at the hearing. At the conclusion of the hearing, the parties were ordered to file and serve closing briefs by no later than 5:00 p.m. on October 12, 2009. The parties timely filed their closing briefs on October 12, 2009. On that date, the record was closed and the matter was submitted. Whether Student no longer met eligibility requirements as a child with a disability under the category of other health impaired (OHI) during the school year 2008-2009, such that the District could exit him from special education. Whether the District failed to provide Student a free appropriate public education (FAPE) during the 2007-2008 and 2008-2009 school years, by failing to properly assess Student in all areas of suspected disability so as to identify Student’s unique needs in the academic, physical, emotional, and social areas. Whether the District failed to provide Student a FAPE during the 2007-2008 and 2008-2009 school years, by failing to address Student’s unique needs in the academic, physical, emotional, and social areas. Whether the District failed to provide Student a FAPE during the 2008-2009 school year, in that the Individualized Education Program (IEP) team failed to consider parental input and information in deciding upon Student’s eligibility and services. Whether the District failed to provide Student a FAPE during the 2008-2009 school year, by failing to provide prior written notice regarding the IEP team’s decision to exit Student from special education. 1 The ALJ has redrafted the issues as they appeared in the prehearing conference order, for clarity. Further, Student’s issue number 5 did not appear in the prehearing conference order. It has been added as an issue, since Student’s Complaint contained allegations regarding it, and since both sides presented evidence regarding it at hearing. District requests an Order that it may exit Student from special education, and discontinue providing special education and related services to Student. Student requests an Order that Student remain in special education, and receive instruction in social pragmatics, as well as a classroom aide, tutoring, and access to a program for gifted and talented students. Student also seeks reimbursement for the costs of various services provided by Parents to Student, including counseling and medical expenses. 1. Student is a 12-year-old, sixth grade boy. He has resided in the District at all relevant times. He was formally diagnosed with ADHD in early 2004, when he was six years old and in the first grade. Based upon this diagnosis, District first found Student eligible for special education and related services under the category OHI in February 2004. At all times, District has placed Student in a general education setting. The only related service that District has consistently provided to Student at all relevant times has been occupational therapy (OT), to improve his fine and visual motor skills. 2. Based upon an OT assessment she performed on February 1, 2006, when Student was eight years old and in the third grade, Maureen Cole, an occupational therapist, recommended that the District discontinue providing OT services. Her assessment results demonstrated that Student had met his goals consistently while receiving OT, and he was successful in the classroom. At the IEP meeting of February 27, 2006, at which the OT assessment was discussed, the IEP team decided to keep Student in special education, but to diminish his OT services from 50 minutes, one time per week, to consultation and OT services of 50 minutes, one time per month. The occupational therapist was also to work on Student’s organizational skills, based upon “goals” that Parents proposed and submitted at the IEP meeting. The proposed “goals” also contained Parents’ concerns regarding Student’s organizational skills, ability to timely complete his class work, and ability to focus. The IEP team characterized the Parents’ proposed goals as accommodations and strategies for selfmonitoring, to help develop Student’s organizational skills and to keep him on task with his class work. Parents also provided information at this meeting regarding Student’s impaired verbal and nonverbal communication skills, and his difficulty in socializing with peers. Parents presented a Pragmatic Language Evaluation Report by Marcey Utter, a speech and language pathologist with the private agency Circle of Friends, who assessed Student on December 2, 2005. The assessment revealed that Student’s scores on subtests of the Comprehensive Assessment of Spoken Language (CASL), the Test of Problem Solving (TOPS), and subtests of the Test of Auditory Perceptual Skills-Revised (TAPS) reflected that his abilities were within normal limits. However, Ms. Utter also found that Student’s spontaneous use of appropriate verbal and nonverbal communication skills was significantly impaired, and she concluded that Student presented with a significant pragmatic language deficit. She recommended that Student be enrolled in a social cognition group, led by Circle of Friends, to improve his pragmatic language skills. District did not act on this information. 3. District convened an IEP meeting on March 18, 2008, when Student was 10 years old and in the fourth grade. The meeting was attended by Parents, the school psychologist, Ms. Cole (the occupational therapist), Cathy Anton, an adapted physical education teacher, and Christa Huddle, Student’s fourth grade teacher. Ms. Cole, the occupational therapist, reiterated her recommendation that District discontinue Student’s OT services. Therefore, the team wanted to focus on educational accommodations to address writing and attention in the classroom. 4. Ms. Huddle, Student’s classroom teacher, shared that Student’s attention in the classroom was inconsistent, and Parents reported the same inconsistencies at home. The team noted that Student was using the Daytrana patch, which is a transdermal system for the administration of ADHD medication. Ms. Huddle discussed some interventions she could implement, such as preferential seating, and having Student present his work to her for approval prior to leaving for recess. 5. Parents did not agree to terminate Student’s OT services, as they felt his difficulties with writing legibly would impair his ability to keep up with the curriculum. Ms. Huddle stated Student was one of the first students to finish his assignments. Parents requested the team develop a self-monitoring goal for Student. No such goal was developed at this meeting. 6. District offered to provide Student with educational accommodations through a section 504 plan.2 Parents were concerned that a section 504 plan did not provide the same rights as the IDEA, in that there were no rights to a due process hearing. The team offered a “full team assessment,” to assess Student in all areas of suspected disability, but Parents declined, as their only concern was OT services. District also offered another OT assessment, to be performed by another occupational therapist, which Parents also declined. Father stated he would agree to the IEP if Student could continue to receive OT services and classroom accommodations until the beginning of the 2008-2009 school year, at which time Student’s progress could be evaluated. At that time, if Parents considered Student to be successful, they would agree to discharge Student from OT services and would agree to section 504 accommodations. The IEP notes reflect that the other members of the team disagreed with Father’s suggestion. Parents did not consent to the IEP. However, as is discussed below, the parties followed a course of action similar to that proposed by Father. 2 Under Section 504 of the Rehabilitation Act of 1973 (29 U.S.C. § 794, et seq. ), students with disabilities may receive accommodations, if needed, so that they may participate in school as do individuals without disabilities. 7. District convened another IEP meeting on November 6, 2008, when Student was 11 years old and in the fifth grade. Parents, Ms. Anton (the adapted physical education teacher), Ms. Cole (the occupational therapist), Ghada Griggs, the resource specialist teacher (RSP), and Christopher Holloway (the school psychologist), attended the meeting. Ms. Carlberg, Student’s general education teacher, could not attend the meeting, as she had a family crisis. The IEP team again discussed discontinuing Student’s OT services, and providing Student accommodations under a section 504 plan. Mr. Holloway, the credentialed school psychologist, gave Ms. Carlberg’s input at the meeting. Ms. Carlberg felt that Student’s ADHD was under control, that he was doing well academically, and all he required were section 504 accommodations. Father agreed that Student had improved in OT. Parents stated they had no concerns and did not request special education testing or services, but they requested section 504 accommodations. Parents did not want standards to be lowered for Student. Parents advised the IEP team that Student was taking Daytrana daily for his ADHD. Parents also described their efforts to improve Student’s social skills by arranging for Student to socialize with friends, and to participate in extracurricular activities. Mr. Holloway advised the IEP team that Student was eligible for special education under the OHI category, and that District was required to conduct an assessment to determine whether Student was still eligible for special education as OHI (which was the only suspected disability), or whether District could exit Student from special education. He further advised that if the assessment revealed that District could exit Student from special education, then the team could consider a section 504 plan. Consequently, the IEP team, including Parents, agreed that District would perform a psychoeducational assessment to ascertain whether Student remained eligible for special education under the category of OHI. If not, the IEP team, including Parents, planned to exit Student from special education, and develop accommodations under a section 504 plan. Parents signed a formal consent for the psychoeducational assessment. 8. District performed the psychoeducational assessment over the course of November and December 2008, and January 2009. The assessment team consisted of Mr. Holloway and Ms. Griggs. Mr. Holloway has been a school psychologist for three years. He received his B.A. degree in Psychology from California State University, Fullerton, and his M.S. degree in Educational Psychology and Counseling from California State University, Northridge. He holds a Pupil Personnel credential, and is accredited as a nationally credentialed school psychologist by the National Association of School Psychologists. Ms. Griggs has been an RSP with the District for 10 years. She is a credentialed special education teacher for students with mild and moderate disabilities. She also holds a multiple subject teaching credential and an administrative credential. She holds a B.A. degree in English and an M.A. in Educational Leadership. At the time of the hearing, she was working on an M.A. degree in Dispute Resolution, as well as a doctorate in Educational Leadership. Mr. Holloway and Ms. Griggs generated a report of the assessment, dated January 15, 2009. 10. The report stated that the reason for the assessment was to determine whether Student was eligible for special education under the category of OHI. As part of their input in the assessment, Parents submitted a 5-page document (Parent Narrative) to Mr. Holloway, summarizing Student’s struggles with ADHD and its effects on his education since kindergarten. In lieu of completing a form that Mr. Holloway sent to them, Parents submitted, and Mr. Holloway accepted, the Parent Narrative. The Parent Narrative stated that in kindergarten and first grade, Student was unable to completed assignments in class, he was not using time efficiently in class, and he had difficulty with memory, attention, and following directions. It took Student “a considerable amount of time,” up to three or four hours, to complete homework assignments. Student’s difficulties in focusing contributed to difficulties in getting dressed for school, conversing with other children, and transitioning from one activity to another. He had problems with handwriting. He lacked body awareness, and had poor motor control and motor planning, which affected his emotional security and created social problems. The Parent Narrative also reported that Student had an OT evaluation on November 13, 2003. The OT evaluation noted Student’s Student’s poor body awareness, and difficulties with proprioceptive and vestibular processing and praxis. Student’s fine motor skills and sensory processing were also affected. 11. The Parent Narrative reported that many of these deficits continued in second and third grade. Teacher had advised Parents that Student was not completing assignments because he was not following directions. He had problems focusing and transitioning from one activity to another. He appeared to have a lot of nervous energy in class that he was trying to control. He focused so much on not being distracted that he could not focus on his class work. He had problems with self control and impulsive behavior. Parents consulted Circle of Friends, for a pragmatic language evaluation, and the Parent Narrative summarized the evaluation. The evaluation concluded that Student had a social cognition deficit. The Parent Narrative stated that Student began medication and counseling, and a pediatrician suggested that Student possibly was on the autism spectrum. Student’s difficulty with math and handwriting continued into third grade. Student had difficulty with basic math multiplication. Student’s report card indicated Student lacked organization skills and had some difficulty completing assignments carefully and neatly. He had problems completing homework, and Student could still take up to three hours nightly to complete homework. Student continued to have problems focusing on completing tasks at home, such as getting dressed independently in the morning. 12. The Parent Narrative also described Student during fourth and fifth grade. In fourth grade, Student continued to have problems with legible writing and completing his assignments neatly. He lacked organization skills, and continued to have difficulty with basic multiplication. Homework remained a problem. He could take up to three or four hours and still not complete his homework, and he often lost or forgot homework at school. He had problems focusing on one topic in a conversation. Student had difficulty transitioning from one activity to another, and also shifted from one activity to another without finishing the previous activity. He sought out individuals who did not reciprocate his social overtures. In fifth grade, Student had difficulty grasping math concepts, and still had problems with basic multiplication. He was removed from an advanced math class because he had difficulty transitioning from one activity to another quickly enough to keep up with the class. He forgot assignments at school and at home. Completing homework and organization continued to be a challenge. His social challenges also persisted, as he continued to seek the company of other children who did not reciprocate his friendship. He required continued parental intervention and support in social situations. 13. Mr. Holloway summarized some of the information contained in the Parent Narrative in the Background/Educational Information section of the assessment report. The assessment report noted that Student has had difficulty throughout his educational history in handwriting skills, body awareness, remembering oral directions, following multi-step commands, working independently, and using class time efficiently. The assessment report also noted that it often took Student much longer than his peers to finish his homework. The assessment report referred to a SNAP IV ADHD rating scale that was completed by Student’s classroom teacher in November 2005 and showed elevated ratings in the areas of inattention. The assessment report noted that Student had taken various medications for his ADHD in prior years, but that Student currently used the Daytrana patch and was also taking Lexapro daily. Mr. Holloway was aware that Student used the Daytrana patch for his ADHD symptoms, and that Lexapro was a medication for anxiety and depression. The assessment report also stated that Student and his current teacher observed that Student’s attention was more consistent since Student had begun using the Daytrana patch daily. The assessment report commented that Parents nevertheless remained concerned about Student’s ability to access his schoolwork and to complete his homework. 14. Mr. Holloway summarized additional information contained in the Parent Narrative in the Social-Emotional section of the assessment report. He noted Parents’ comments in the Parent Narrative regarding Student’s difficulty in making friends during his early educational career, and that Parents had obtained a Pragmatic Language evaluation from Circle of Friends. Mr. Holloway commented that the Circle of Friends evaluation found that Student had average abilities on standardized measures, but Student also had difficulty with social reciprocity and perspective taking. Mr. Holloway also noted Parents’ report that other school staff at that time noticed that Student had difficulty with eye contact and focusing on conversation. Mr. Holloway reported that during fourth grade Student continued medication and social therapy strategies, and Parent’s concern that Student often sought friendships from those who did not reciprocate. 15. Mr. Holloway did not request Parents to elaborate upon their concerns as expressed in the Parent Narrative. Had he done so, he would have learned the extent to which Student’s ADHD affected Student’s social skills and his ability to timely produce homework, and he could have, and should have, informed the IEP team regarding these matters. 16. For example, the Parent Narrative understated Student’s circumstances, particularly during the fourth and fifth grades. The evidence at hearing demonstrated that Parents were concerned about Student’s social skills to such a degree that Mother spent time on the telephone arranging for two or three informal social skills group sessions every week with Student and other children, so that Student could practice the social skills techniques that Parents had learned from Circle of Friends. 17. The Parent Narrative also did not detail the impact of Daytrana’s side effects on Student in fourth and fifth grades, which was demonstrated by the evidence at hearing. Student was required to take the Daytrana patch off after school until the next morning, because, when the patch was on, Student had no appetite and suffered from insomnia. However, when the patch was not on, Student could not focus and was easily distracted. Consequently, Student had difficulty completing his homework assignments. Homework assignments which Ms. Carlberg intended to take only approximately one hour or one and a half hour of focused study time to complete could take Student up to four hours to complete. Homework constituted 25 percent of a pupil’s grade in Ms. Carlberg’s class, but she was flexible with respect to granting extensions of time to complete homework. Ms. Carlberg was aware, as of December 2008 and prior to the completion of the assessment, that Student required additional time to complete his homework. She was also aware, as of December 2008, that at least occasionally Parents were required to spend two to four hours per day assisting Student with his homework. 18. The evidence at hearing, but not included in the Parent Narrative, revealed that Student also suffered from other side effects of Daytrana, such as joint pain, skin rashes, limited strength, and pains in his chest. Student continued to wear the Daytrana patch at school, however. He told Mother of his fear that if he discontinued Daytrana, his social skills would be so diminished that he would become a social outcast at school. It was undisputed at hearing that it would have been difficult for Student to participate in the general education environment without the Daytrana patch. 19. The assessment report summarized information that Ms. Carlberg, Student’s teacher, had provided. The assessment report noted that Ms. Carlberg had advised the assessors that Student was doing well, and that nothing impeded his ability to access the curriculum. He was progressing satisfactorily in all academic areas. Ms. Carlberg advised Mr. Holloway that Student was cooperative and always participated in class discussions. His first trimester grades from the 2008-2009 school year ranged from “Bs” in reading, writing, spelling, history/social science, and mathematics to a “C-” in science. He received marks of “S +” (“Satisfactory +”) in listening and speaking and technology/computer, and marks of “S” in physical education/health, penmanship, and visual performing arts. He received “Satisfactory” marks in responsibility for learning, and “Outstanding” marks in responsibility for behavior. 20. 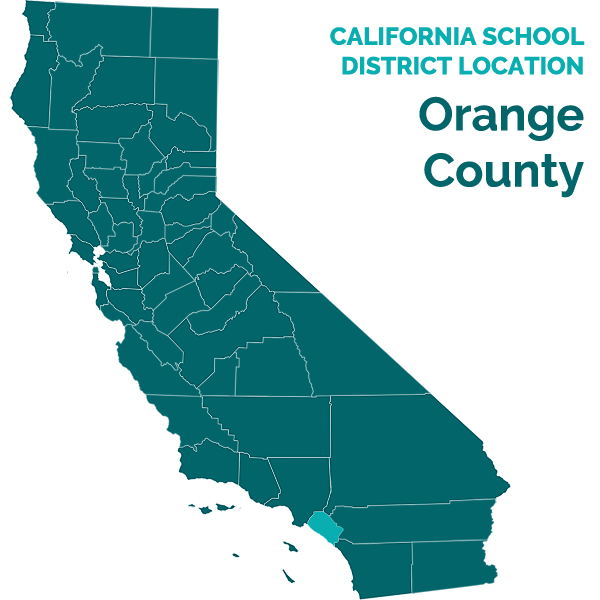 The assessment report set forth Student’s California Standardized Testing and Reporting (STAR) results in English Language Arts and Mathematics from second grade through fourth grade. His Mathematics scores were consistently in the “Advanced” range, and his English Language Arts scores were in the “Proficient” range in second and third grade, and in the “Advanced” range in fourth grade. The assessment report noted that Student had no attendance issues, and that his ADHD was his only health issue. 21. Mr. Holloway observed Student during class for approximately 35 minutes, and the assessment report contains his observations. Mr. Holloway observed Student working hard, then losing focus for approximately 30 seconds when a neighbor left his seat. Student then redirected himself to his work. Student transitioned appropriately to another task. It appeared to take Student slightly longer than his peers to gather the materials and locate the correct page number, but he attended to the instructions and followed the lesson appropriately. 22. The report stated that Student appeared at ease in the testing environment and appeared to put forth his best effort. The report described Student as a very happy child who conversed appropriately with the examiner, and maintained rapport throughout testing. He exhibited wit and humor, and was able to maintain attention and persist through the assessment tasks. Student followed the rules, and requested clarifications from the examiner when necessary. 23. Mr. Holloway administered the WISC-IV to Student to assess Student’s cognitive ability. Student’s WISC-IV composite standard scores in Verbal Comprehension (119), Perceptual Reasoning (117), and Working Memory (144) ranged from the high average to gifted range. His composite Processing Speed standard score of 88 placed him in the low-average range. Student’s full-scale IQ score of 122 placed him in the high range of intellectual functioning when compared to his same-age peers. 25. Mr. Holloway administered the Conners’ Rating Scale to Parents and to Student’s teacher, Ms. Carlberg, to assess Student’s behaviors related to attention. The results of the ratings are described in the assessment report in all areas, but the specific behaviors and the ratings given for each behavior were not included in the assessment report or offered into evidence. Mr. Holloway reported that Ms. Carlberg rated Student in the Average range across all areas (Oppositional Behavior, Cognitive Problems/Inattention, Hyperactivity, and the ADHD Index.) Mr. Holloway interpreted these results to mean that Student’s behavior in the school environment was not believed to significantly differ from his same age and gender peers. Parents’ ratings on these scales fell into the Significant range. Mr. Holloway interpreted this to mean that Student’s behavior in the home environment was believed to significantly differ from his same age and gender peers. However, Mr. Holloway was concerned about the discrepancy in the ratings given by Ms. Carlberg and Parents, and he contacted Ms. Carlberg and Parents to confirm that their respective ratings were accurate. Parents and Ms. Carlberg confirmed the accuracy of their ratings. At hearing, Mr. Holloway expressed several possible reasons for the discrepancies in the scores between home and school. He stated that it was not uncommon for a student’s conduct at school to vary from that at home, since the atmosphere at school was more structured, and there was peer pressure to stay on task. He acknowledged that Student may be more fatigued at home, that his medication may wear off when he is at home, or that he may not wear the Daytrana patch while he is at home. 26. Mr. Holloway also relied on the Parent Narrative, his interview with Ms. Carlberg, and his interview with Student, to assess Student’s social-emotional status. 27. The assessment report stated that Ms. Carlberg had stated that Student was cooperative, respectful, and well-behaved, but at times immature. She had observed his energy level in class ranged from low to average, and his motivation was average. His countenance at times appeared shy and “droopy.” His academics were at grade level across all areas, and he had no social difficulties. He completed his homework, kept his assignment logs, stayed on task, studied for tests, was prepared, and listened attentively. 28. Mr. Holloway interviewed Student for 20 minutes, and the assessment report summarized the interview. Student reported to Mr. Holloway that he was happy at school, and enjoyed learning and playing with his friends during recess and lunch. Student disliked hard assignments and sitting for long periods of time. Student reported that he had played organized sports. Student understood that the Daytrana patch helped him control his ADHD. 29. Mr. Holloway also observed Student on the playground on three separate occasions, for approximately 15 minutes each session. The assessment report does not specifically discuss these observations. Mr. Holloway testified that he did not observe Student to have any social difficulties on the playground, and that Student played games with the other children. 30. The report concluded that Student has performed well academically, both in class and in state testing. The report stated that Student was not currently eligible under the category of OHI. Student’s diagnosis and the behavioral characteristics of ADHD did not limit his strength, vitality, or alertness to a point that impaired his ability to access the curriculum, and he was receiving educational benefit. The report suggested that Student might benefit from accommodations under a section 504 plan. 31. District convened an exit IEP meeting on January 15, 2009, when Student was 11 years old and in the fifth grade. The members of the IEP team included Parents, Ms. Huddle (Student’s 4th grade general education teacher), Mr. Holloway, a District administrator, and a special education specialist. 32. The IEP team checked none of the boxes on the IEP form pertaining to disability. Rather, the IEP stated that Student was no longer eligible for special education and related services. The IEP noted Student’s satisfactory grades and that his STAR assessment scores were in the Advanced range in both English Language Arts and Mathematics. The IEP stated that Student’s current teacher had reported Student was functioning well in the classroom, and Student no longer exhibited a need for special education services in order to access the curriculum. The IEP noted that Student’s previous OT assessment results had concluded that Student no longer required OT services to gain access to the curriculum and to receive a FAPE. The IEP also cited the psychoeducational assessment report dated January 15, 2009, that Student no longer qualified for special education under the criteria for OHI. The IEP stated that student was able to currently access the curriculum and make educational benefit. The IEP stated that Student did not have any areas of need. In particular, the IEP reiterated the finding of the assessment report that Student was functioning well academically and in the classroom and no longer exhibited a need for special education services to access the curriculum. The team noted that section 504 accommodations may be appropriate. The team also noted that Student had made satisfactory progress in the area of motor skills. The team noted Student took medication in the form of the Daytrana patch for his ADHD. 33. The IEP notes reflect that the Parents had been given their rights. Parents had reviewed the assessment report, and had no questions. Parents had no questions of Ms. Huddle, and she was excused from the meeting. Mr. Holloway gave Ms. Carlberg’s input. The team also reviewed the assessment report. The IEP notes do not reflect that the Parents expressed any specific criticisms of the assessment. Mother testified that she stated at the meeting that the assessment did not fully take into account all of his disabilities and how they affected him in the classroom, but Mr. Holloway disputed that testimony and stated that Parents did not disagree with the assessment or its results. Since Parents at no time attempted to correct or supplement the IEP notes, the IEP notes are the most persuasive evidence on this point. The IEP notes also state that Parents did not want additional special education services, but disagreed with the team’s conclusion that Student should be exited from special education. The notes state that Parents wanted the protection that special education provided. The notes stated that Student used coping skills appropiately in class, and that Parents worked closely with Student’s teacher to help Student monitor his behavior at school. The notes stated that Father was concerned about the many factors that could affect Student’s academic progress because of his ADHD, and Parents were concerned that section 504 accommodations would not be sufficient. Parents did not consent to the IEP. 1. The petitioner in a special education due process administrative hearing has the burden of proof at the hearing. (Schaffer v. Weast (2005) 546 U.S. 49, 56-58 [126 S.Ct. 528].) District has the burden of proving its contentions with respect to District’s Complaint, and Student has the burden of proving his contentions with respect to Student’s Complaint. District’s Issue: May District Exit Student from Special Education? 2. District contends that the results of its psychoeducational assessment demonstrate that Student is no longer eligible for special education under the category of OHI, and that he does not require special education or related services to benefit from his education. Therefore, District contends that it may exit Student from special education. District further contends that its psychoeducational assessment was appropriate. Student contends that he remains eligible for special education, and the psychoeducational assessment was deficient. Student also contends that District did not take into account all available information regarding Student’s ADHD, such as the interventions and contributions of Student’s parents. 5. In Board of Educ. of the Hendrick Hudson Central Sch. Dist. v. Rowley (1982) 458 U.S. 176 [102 S. Ct. 3034] (Rowley), the United States Supreme Court addressed the level of instruction and services that must be provided to a student with disabilities to satisfy the substantive requirements of the IDEA. The Court determined that a student’s IEP must be reasonably calculated to provide the student with some educational benefit, but that the IDEA does not require school districts to provide special education students with the best education available or to provide instruction or services that maximize a student’s abilities. (Id. at pp. 198-200.) The Court stated that school districts are required to provide only a “basic floor of opportunity” that consists of access to specialized instructional and related services which are individually designed to provide educational benefit to the student. (Rowley, supra, 458 U.S. 176, 201.) In County of San Diego v. California Special Education Hearing Office, et al. (1996) 93 F.3d 1458, 1467 (County of San Diego), the court specified that educational benefit is not limited to academic needs, but includes the social and emotional needs that affect academic progress, school behavior, and socialization. 13. In certain respects, District’s psychoeducational assessment complied with the IDEA and the Education Code. The assessors were qualified to conduct the assessments, the assessments were technically sound, they were not biased or discriminatory, and they were properly administered. However, the psychoeducational assessment was not appropriate, for several reasons, and District should not have relied upon it to exit Sudent from special education. 14. First, the District did not fully assess Student in all areas of suspected disability, without regard to Student’s eligibility category. The Parent Narrative reveals that Student has, and has a history of, pragmatic language difficulties, social difficulties, and difficulties completing his homework. Mr. Holloway informally evaluated Student’s pragmatic language and social skills in several ways, including conversing with him, observing him in class and on the playground, and interviewing his teacher about Student’s social skills. However, District had knowledge that Circle of Friends had formally evaluated Student in December 2005 when Student was in third grade, and had found that Student had pragmatic language and social skills difficulties. District also knew of Parents’ concerns in these areas during fourth and fifth grades, as set forth in the Parent Narrative. Therefore, these were areas of suspected disability, which warranted District’s evaluation of these areas in a more formal and less superficial manner. Parents were not further interviewed about these issues. No assessments targeting speech and language were given as part of the psychoeducational assessment, and the District did not obtain a formal speech and language assessment by a speech and language pathologist. 15. Second, the District did not meet its burden of demonstrating that Mr. Holloway fully analyzed and considered the discrepancies in the ratings Ms. Carlberg and Parents gave on the Conners’ Ratings Scales, or fully analyzed the information that Parents provided in the Parent Narrative. There was no evidence as to the specific responses the raters gave on the ratings scales, so one cannot ascertain what particular behaviors were rated. Additionally, there was no evidence that the District’s assessment considered Student’s consistent history of severe difficulties in completing his homework from the time he was in third grade, and continuing into fourth and fifth grade. This information was reported in the Parent Narrative. Further, in December 2008, prior to the completion of the assessment, Parents advised Ms. Carlberg of Student’s difficulty completing his homework due to his inability to focus. At hearing, the evidence demonstrated that Student’s inability to perform homework manifested itself when Student was not on his ADHD medication, Daytrana, which could not be given to Student in the evening hours or Student would not be able to eat or sleep. As a result, Student could not complete his homework because he could not focus and was easily distracted. This meets the “limited alertness” element of the eligibility category for OHI. District knew that Student was taking Daytrana, and Mr. Holloway knew that one reason for the Parent’s ratings of Student’s behaviors as “Significant” on the Conners’ Rating Scale might be due to Student not wearing the Daytrana patch while at home, but there was no evidence that District inquired further about this situation, or even considered that there might be side effects of Daytrana which might be affecting Student’s difficulties with his homework. 16. The assessment report concluded that Student’s ADHD was not affecting his ability to access his education. However, the assessment report did not give sufficient weight to two situations in which Student’s ADHD appeared to restrict Student’s ability to access his education. It undisputed that Student was unable to focus and attend so as to timely complete his homework. Properly and timely completing homework was an important aspect of Student’s ability to access and benefit from his education. Indeed, it comprised 25 percent of his grade in Ms. Carlberg’s class. Further, the assessment did not sufficiently consider Student’s inability to remain in an advanced math class, an inability which was undisputedly due to his difficulties with focusing and attention. In view of these facts, the District’s assessment should have more fully explored whether Student’s ADHD was impacting his education and ability to access the curriculum. 18. Student contends that the District did not assess Student in all areas of suspected disability during the 2007-2008 and 2008-2009 school years. District contends that Student’s academic and social performance at school support that District had no obligation to assess Student during the 2007-2008 school year, and that its assessment during the 2008-2009 school year was appropriate. 21. For the reasons set forth in Findings of Fact Numbers 1, 2, 3 through 5, and 7 through 33, and Legal Conclusions Numbers 1, 3 through 17, and 18 through 20, Student has demonstrated that District failed to properly assess Student in all areas of suspected disability, and inappropriately decided to exit Student from special education. District thereby impeded Student’s right to a FAPE, and denied Student educational benefits. Consequently, District denied Student a FAPE during the 2008-2009 school year, and Student is entitled to independent psychoeducational and speech and language assessments at public expense, to determine all areas of need. However, for the reasons set forth in Findings of Fact Numbers 1 through 6, and Legal Conclusions Numbers 1, 3 through 12, and 19 through 20, Student has not met his burden of demonstrating that the District had an obligation to assess him during the 2007-2008 school year. At the March 18, 2008 IEP meeting, District offered to conduct an assessment of Student in all areas of suspected disability, and Parents declined. Under these circumstances, Student was not denied a FAPE on this ground during the 2007-2008 school year. 22. Student contends that the District failed to provide any goals or services to address Student’s issues arising from his ADHD, in particular his social-emotional needs. District contends that Student’s academic performance was not impacted by his ADHD. 27. Student did not meet his burden of showing that the District denied him a FAPE during the 2007-2008 school year by failing to address his needs. Student’s needs must be determined by assessment, and Parents refused District’s offer to perform a complete assessment of Student during the 2007-2008 school year at the March 18, 2008, IEP, because they were only concerned with OT. Nor did Student provide evidence of any assessments performed by the District or by anyone else that was relevant to whether Student had any needs that were affecting his ability to access his education during the 2007-2008 school year. There was no specific evidence that Parents had brought to the District’s attention at the March 18, 2008, IEP meeting Student’s problems in completing homework, or his social difficulties, or that he had any needs that were not being met that were affecting his ability to obtain a FAPE. Under the “snapshot” rule, the sufficiency of an IEP is not determined retrospectively, but rather is based upon what the IEP team knew, or should have known, at the time of the IEP. Consequently, based upon Findings of Fact Numbers 1 through 6, and Conclusions of Law Numbers 1, 3 through 12, and 18 though 26, Student did not meet his burden of demonstrating that he was denied a FAPE on this ground. 28. Based upon Findings of Fact Numbers 1 through 33, and Legal Conclusions Numbers 1, and 3 through 26, Student met his burden of showing that the District denied him a FAPE during the 2008-2009 school year by failing to address his academic needs. It was undisputed that Student had ADHD. It was undisputed that Student was required to cease his ADHD medication in the evening, thereby diminishing his ability to focus and attend. It was also undisputed that, as a result, Student could not timely complete his homework. It was undisputed that Ms. Carlberg had removed Student from the advanced math class, despite Student’s high test scores, because Student’s attention and focusing difficulties impeded him from keeping up with the work. The IEP team was also on notice by the time of the January 15, 2009, IEP meeting of these matters, which impacted Student’s ability to access his education. 29. In analyzing Student’s needs, District relied heavily on Student’s passing grades and his high standardized test scores. However, Student’s passing grades in Ms. Carlberg’s class are partly a result of Ms. Carlberg’s accommodation of Student’s difficulties in completing his homework. District should have, but did not, consider this accommodation in considering whether Student’s passing grades were truly an adequate indicator of Student’s progress. 30. Student has demonstrated that, during the 2008-2009 school year, he needed special education and related services that could not have been provided with accommodation in the regular school program. District’s failure to identify Student as still eligible for special education, and its failure to develop an appropriate IEP for Student during the 2008-2009 school year, denied Student a FAPE. 31. Student contends that the IEP team at the January 15, 2009 IEP did not consider parental input, and thereby predetermined the outcome of the IEP. 33. Student has not met his burden of demonstrating that the IEP team at the January 15, 2009, IEP meeting failed to take into consideration Parents’ concerns, or that the outcome of the IEP meeting was otherwise predetermined. There was no evidence that the IEP team met prior to the January 15, 2009, IEP meeting, without Parents, to predetermine the outcome of the meeting. Parents attended the IEP meeting and stated their concerns and their disagreement with the District’s recommendation to exit Student from special education. There was no evidence that Parents were forbidden from speaking. There was no evidence that they were interrupted, or that the members of the team otherwise refused to listen to them. There was no evidence that the team did not consider the information that Parents provided, or displayed a “take it or leave it” attitude. The team may not have given parental information the weight that Student would have liked, but there was no evidence that Parents did not have the opportunity to participate in the decision-making process at the meeting. In this regard, the evidence reflected that, at the November 6, 2008, IEP meeting the entire team, including Parents, anticipated that Student would be exited from special education and only have section 504 accommodations. Parents later decided otherwise, as they had a right to do, but it is not surprising that other members of the team may have had an expectation as to what would occur at the subsequent IEP meeting on January 15, 2009. That expectation, which was engendered in part by Parents, is not the same as a predetermination that would deprive Student of a FAPE. Based upon Findings of Fact Numbers 1, and 7 though 33, and Legal Conclusions Numbers 1, 3 through 5, and 31 and 32, Student was not deprived of a FAPE on this ground. Student’s Issue No. 4: Prior Written Notice Regarding the IEP Team’s Decision to Exit Student from Special Education in January 2009. 34. Student contends that District did not provide appropriate prior written notice of the IEP team’s decision on January 15, 2009, to exit Student from special education. 37. Based upon Findings of Fact Numbers 1, and 7 through 33, and Legal Conclusions 1, 8 through 17, 32, and 34 through 36, Student has not met his burden of demonstrating that District did not give prior written notice such that he has been deprived of a FAPE. First, the IEP of January 15, 2009, and the assessment report that was discussed at that IEP meeting, constituted written notice of the team’s decision to exit Student from special education. Those documents, which were given to Parents, and which document an IEP meeting that Parents attended, meet all of the requirements for prior written notice. 38. Student contends that he was denied a FAPE because Ms. Carlberg, his general education teacher during the 2008-2009 school year, was not present at the November 6, 2008 and January 15, 2009, IEP meetings. 41. Based upon Findings of Fact Numbers 1 and 7, and Legal Conclusions Numbers 1, and 38 through 40, Student’s contention is unmeritorious. It is true that there was no general education teacher present at the November 6, 2008, IEP meeting, at which Student’s need for OT was discussed. Ms. Carlberg’s input regarding Student’s academic progress and need for OT services was presented by Mr. Holloway. At the meeting, the team decided to discontinue OT services, and to perform a psychoeducational assessment of Student. Parents participated in, and agreed with, these decisions. Neither of those decisions is at issue in this action. Under these circumstances, Ms. Carlberg’s inability to attend the November 6, 2008, IEP meting did not deny Student an educational benefit, or a FAPE, and his Parents were not denied the opportunity to participate in his IEP. 45. Had the District fully assessed Student as described above, an appropriate IEP for Student might have included social skills training, speech therapy, DIS counseling services, and other related services. Student presented no testimony or other evidence at hearing as to whether Student required these services in order to receive a FAPE and, if so, what type and amount of services should be provided. Nor was there any evidence as to any costs Parents incurred in obtaining any such services privately. Consequently, there is no evidence to support an award of compensatory education or reimbursement with respect to these services. 6. District shall provide Student a one-to-one trained tutor who is a District employee to assist Student with his homework at school for 7.5 hours per week until the end of the 2009-2010 school year, excluding school vacation periods. Such assistance shall include teaching Student organizational and study skills. Education Code section 56507, subdivision (d), requires that this Decision indicate the extent to which each party prevailed on each issue heard and decided in this due process matter. Student prevailed on District’s Issue, and parts of Student’s Issues Numbers 1 and 2. District prevailed on parts of Student’s Issues Numbers 1 and 2, and Student’s Issues Numbers 3, 4, and 5.